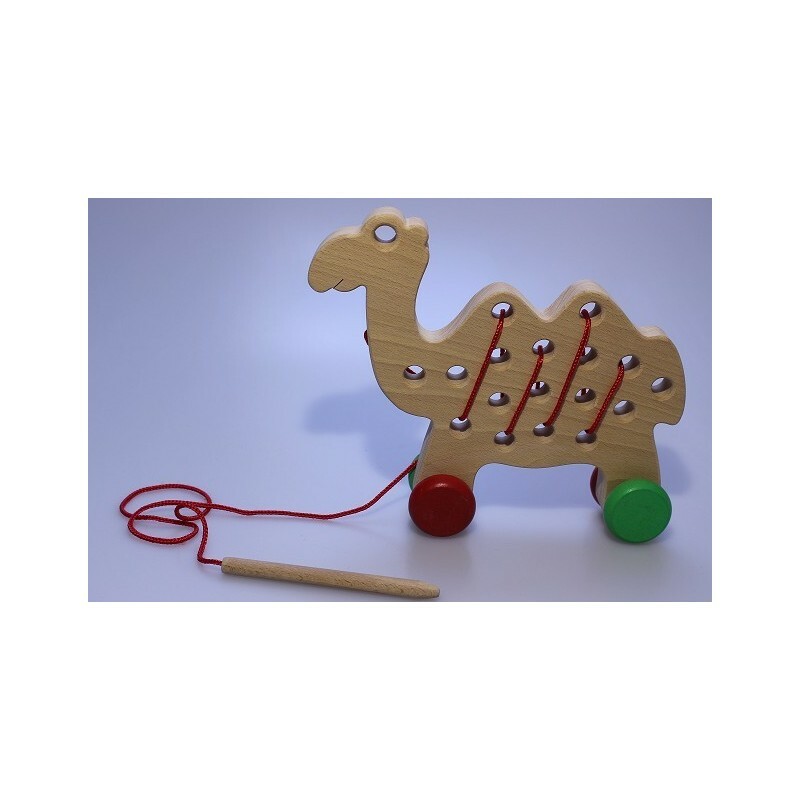 This didactic toy in the shape of a camel is designed to improve children's fine motor skills. 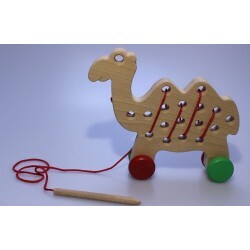 The kids will learn not only how to hold the wooden pencil, but also push through the whole on the camel. 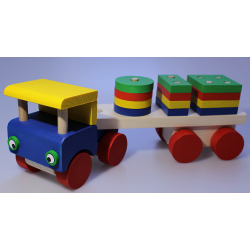 The wheels allow the camel to play with him and pull him along. 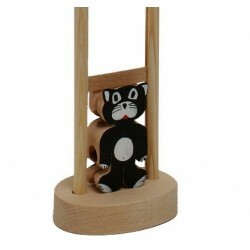 The toy is made of solid beech massive material which ensures its durability. 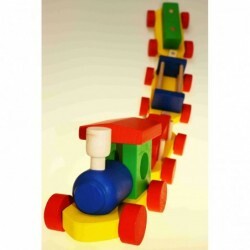 Hand-made production family firm Josef Pavel. Measures: 17H x 18,5W x 4,5D (cm).